Republican Gov. Pat McCrory on Wednesday called a groundbreaking collision repair program at a Fayetteville, N.C., college “a crucial part of efforts to bring industry to the state,” the Fayetteville Observer reported. See a video of him from the event here. 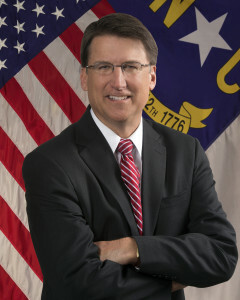 McCrory’s State of the State is tonight. It’ll be interesting to see if he mentions the program, which the Observer reported cost $4.5 million. FTCC estimates that graduates of the associate’s program will receive $10,000 in certification and training for $5,500 in tuition, making it an even better deal for students. There aren’t textbooks to buy — program resources are online, and students are given tablets to share for lessons. The collision repair building on Procurement Circle is 25,000 square feet and has two frame alignment systems; an aluminum clean room; two frame alignment systems, waterborne equipment and a waterborne paint refinishing system; welding options running the gamut from smart MIG for aluminum, silicon bronze and steel to squeeze-type resistance welders to nitrogen plastic welders. It’s state-of-the-art — or at least until automotive technology changes yet again. The first graduating class of students is already taking courses. Learn more about the program with Repairer Driven News’ advance coverage. Continue to check back for more updates.